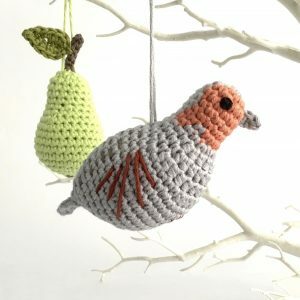 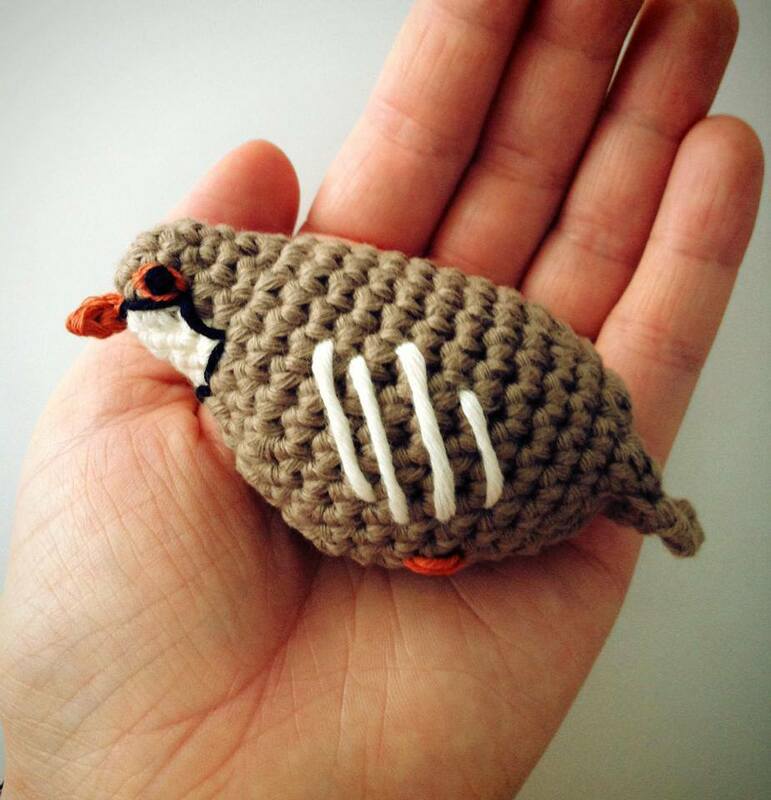 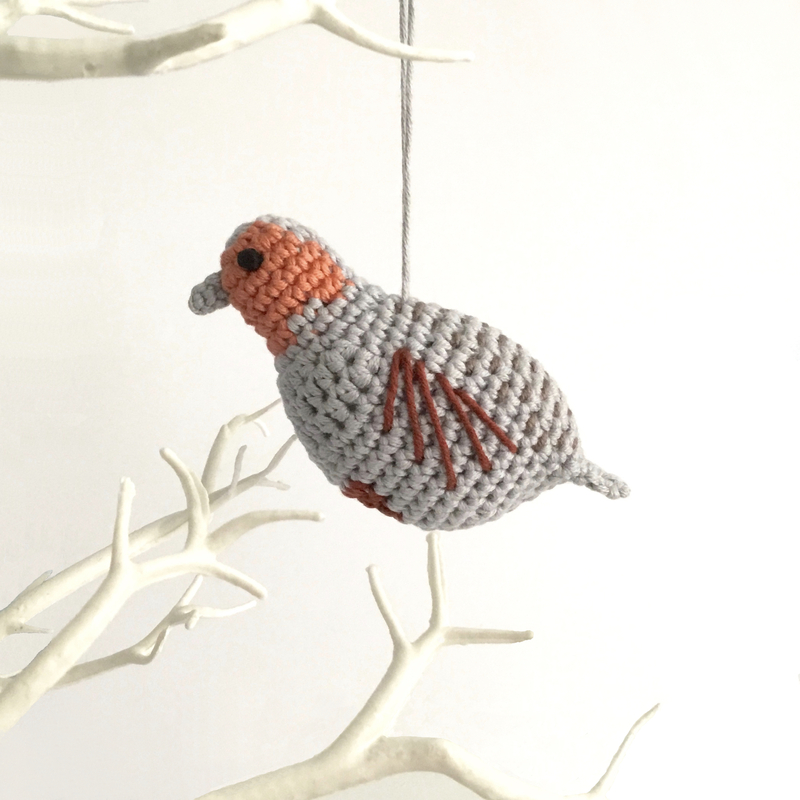 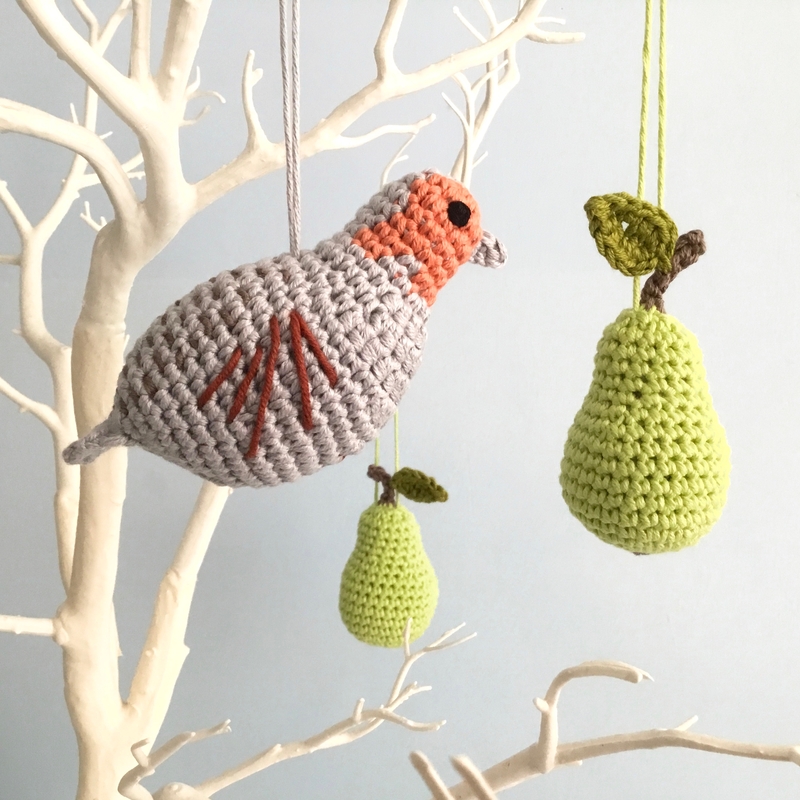 My new crochet pattern is for this handsome grey partridge (Perdix perdix) and matching pear ornament. I have previously sold red-legged partridges as finished ornaments, but when it came to writing up the pattern, I decided to choose the grey partridge, a native species to the British Isles, with its distinctive orange face and dark tummy patch. 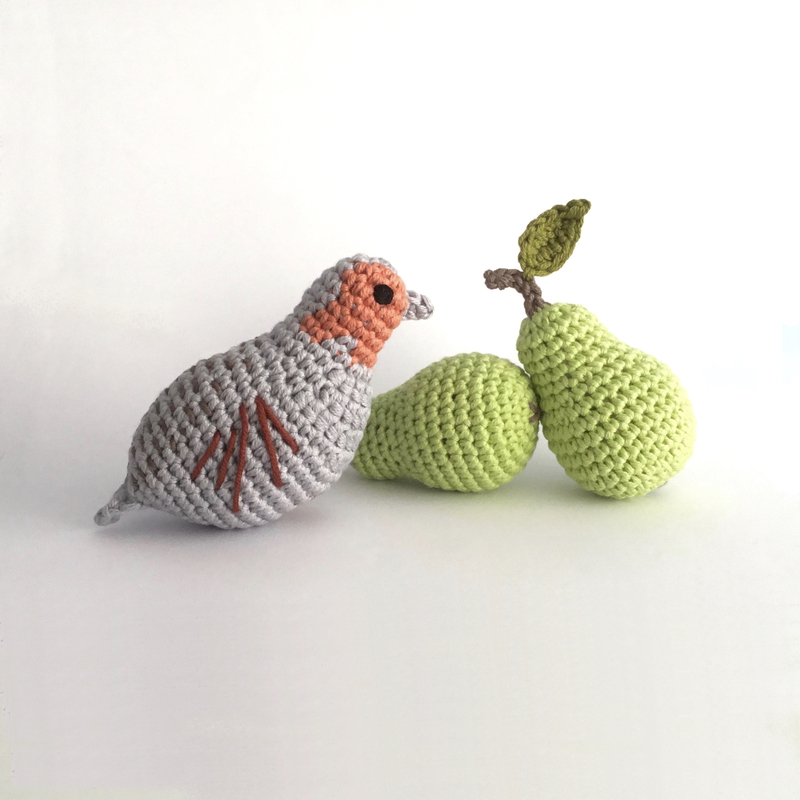 Did you know it is really a ground-dwelling bird, and rarely to be found in trees, let alone pear trees! 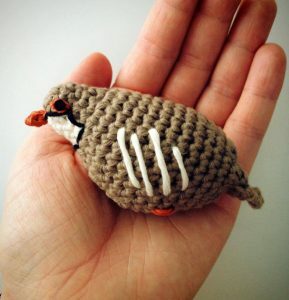 The grey partridge is now sadly on the RSPB’s Red List of endangered species. 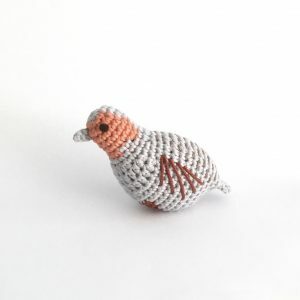 Find out more about this charismatic bird on the RSPB’s Grey Partridge page. The ornaments can be made in Double Knitting (light worsted weight) or Aran (worsted weight yarn). 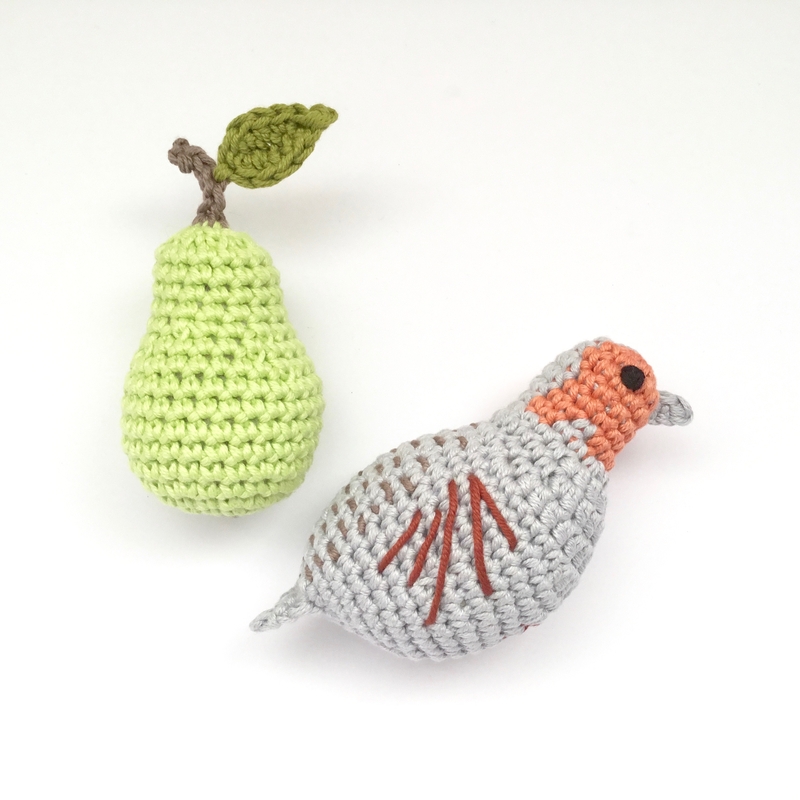 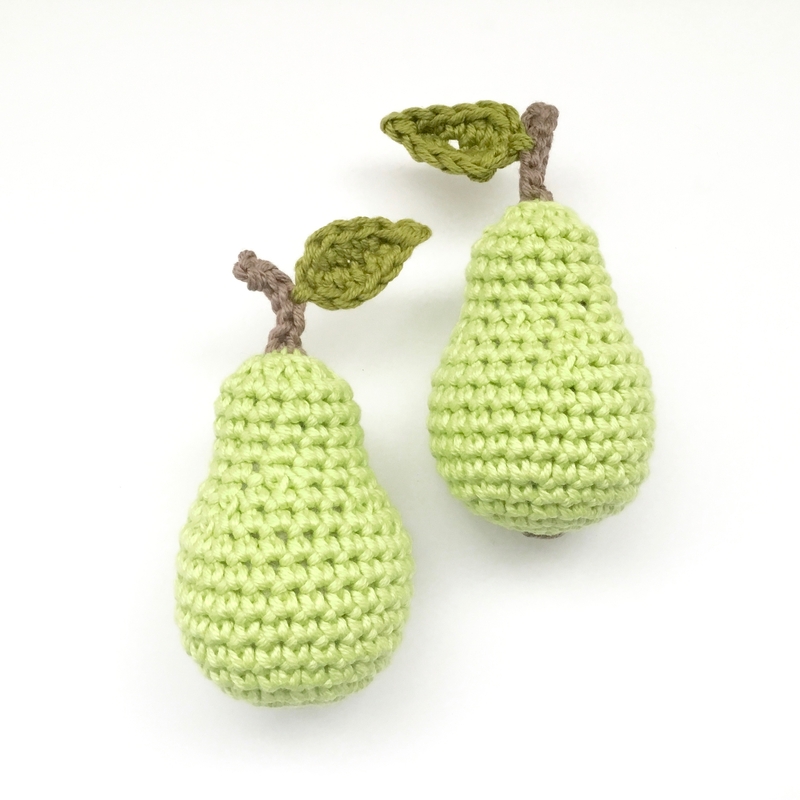 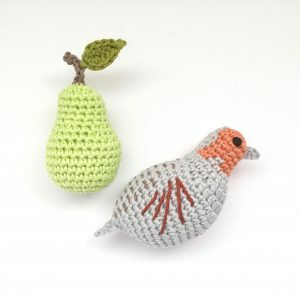 In Double Knitting (light worsted weight) yarn, the partridge is around 11cm long and the pear around 6-7cm tall. In Aran yarn (worsted weight) yarn, the partridge is around 13cm long and the pear around 8cm tall. 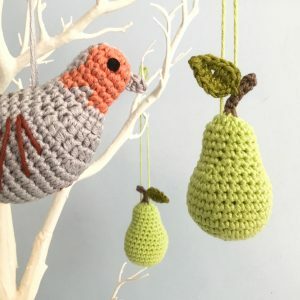 As always, the pattern contains full details about the quantities and type of yarn you will need.